Different connector types have different heights. MODULO Press Fit can be programmed, depending the connector height. With a pneumatic press, the height has to be adjusted or compensated mechanically which could be complex. When you have a mix of connector types with different heights, a servo press is a must. Connectors can be inserted in different controlled ‘modes’. 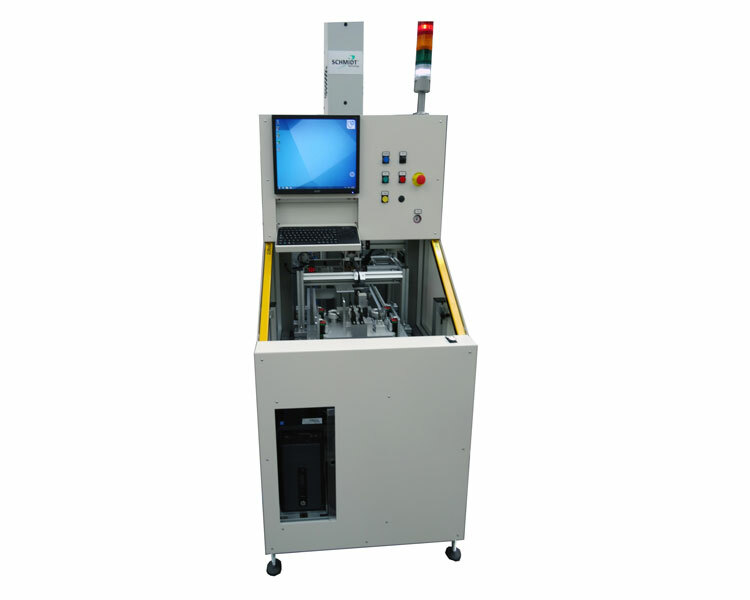 The servo presses have a closed loop force and distance measurement system. The state-of-the-art ‘Delta force mode’ can even detect when the connector’ housing is against the pcb. This guarantees a perfect insertion. Seica Automation MODULO platforms combined with performance enhancing accessories provide the flexibility to meet a wide range of customer requirements in the manufacturing of printed circuit boards. ** Technical specification may change without any advanced notice. *** All modules are ESD compliant and CE marked, each module has an independent control system. Located in Seregno (Italy) and part of SEICA Group, SEICA AUTOMATION defines and manufactures assembly system. People with more of 20 years of experience in board handling gives Seica Automation team the necessary know-how to find always the most efficient solution and to solve any production issue. ©2018 Seica Automation - All rights reserved.